Ferne McCann and George Shelley to release a song together! I'm A Celebrity romancers George Shelley and Ferne McCann have revealed that they plan to write a song together. According to reports, Ferne McCann is planning to leave the cast of The Only Way Is Essex, following her recent I'm A Celebrity success. 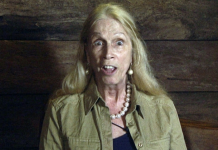 I’m A Celebrity 2015: Lady C called the police claiming Duncan assaulted her! Lady Colin Campbell has accused Duncan Bannatyne of assaulting her whilst they were filming I'm A Celebrity's spin-off show for ITV2. I’m A Celebrity 2015 : Vicky Pattison ‘struggling’ after winning the show! I'm A Celebrity 2015 winner, Vicky Pattison is said to be 'struggling to cope' after winning the show last night. I’m A Celebrity 2015: Vicky Pattison crowned the winner, George Shelley is runner-up! Vicky Pattison has been crowned the winner of I'm A Celebrity 2015, George Shelley has come runner-up. I’m A Celebrity 2015: Ferne McCann comes in 3rd place! Ferne McCann has been evicted from the I'm A Celebrity 2015 jungle in 3rd place. I’m A Celebrity 2015: The last night before the final! The final 5 celebrities have had their last night in camp all together before the final tonight, where one of the final three celebrities will be crowned king or queen of the jungle. I’m A Celebrity 2015: Celebrities face Celebrity Cyclone! This is the moment we have all been waiting for, the Celebrity Cyclone. I’m A Celebrity 2015: Kieron Dyer and Jorgie Porter eliminated! Kieron Dyer and Jorgie Porter have both been eliminated on I'm A Celebrity... Get Me Out Of Here! 2015. I’m A Celebrity 2015: First look at the final five taking on Celebrity Cyclone! Look at a sneak peak of the final five I'm A Celebrity 2015 campmates taking on the famous Celebrity Cyclone.